The summer solstice is a result of the Earth‘s north-south axis being tilted 23.4 degrees relative to the sun. The tilt causes different amounts of sunlight to reach different regions of the planet. That doesn’t mean the sun will be exactly overhead at noon for everyone, said Cornel University astronomer James Bell. It depends on the viewer’s latitude—the sun will shine down directly overhead at noon only along the Tropic of Cancer, an imaginary line that circles the Earth at about the latitude of Cuba. “It’s still at a low angle if you’re up in Alaska,” Bell explained. In reality, the sun’s position is still changing, but at a slower rate. “It’s nothing astronomical changing. What’s changing is the human side of it,” Bell said. On the summer solstice, the Northern Hemisphere receives more sunlight than on any other day of the year, but that doesn’t mean the first day of summer is also the hottest day of summer. Earth’s oceans and atmosphere act like heat sinks, absorbing and reradiating the sun’s rays over time. So even though the planet is absorbing lots of sunlight on the summer solstice, it takes several weeks to release it. As a result, the hottest days of summer usually occur in July or August. Recently, archaeologists discovered the remains of an astronomical observatory in a long-buried Maya city in Guatemala in which the buildings were designed to align with the sun during the solstices. During such times, the city’s populace gathered at the observatory to watch as their king appeared to command the heavens. 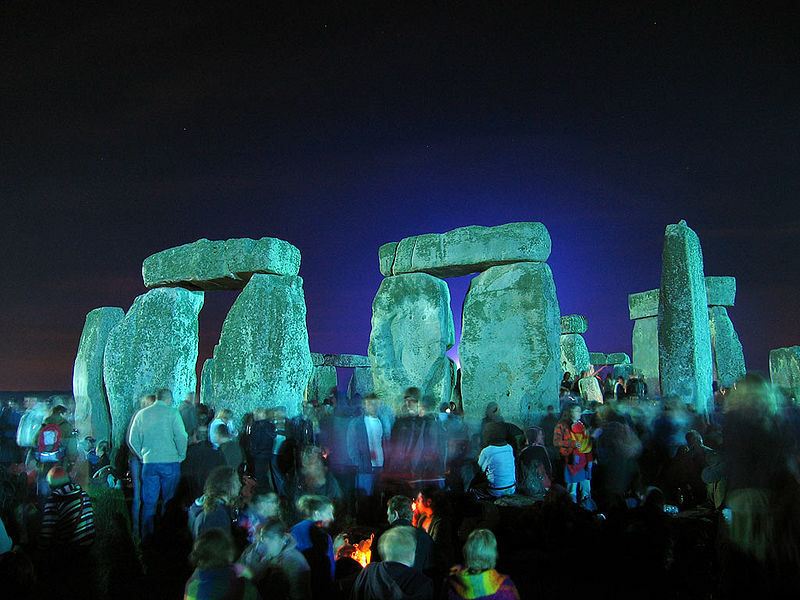 For many of the ancients, the summer solstice wasn’t just an excuse to party or pray—it was essential to their well-being. “The only people who really pay attention to what’s going on outside on a regular basis still are like the neo-pagans in America and farmers, because it’s important for their growing and harvest seasons,” said Jarita Holbrook, a cultural astronomer at the University of Arizona in Tucson. Mark Hammergren, an astronomer at the Adler Planetarium in Chicago, said he doesn’t feel too bad about the declining significance of the solstices in modern society. The University of Arizona’s Holbrook, however, thinks there are certain benefits in keeping the tradition alive.